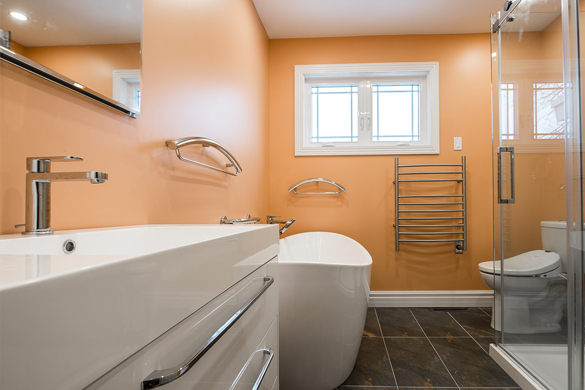 You can save thousands and increase your home’s value when you upgrade your bathroom yourself. Your day begins and ends in the bathroom, so why not turn it into an attractive place that you can enjoy. 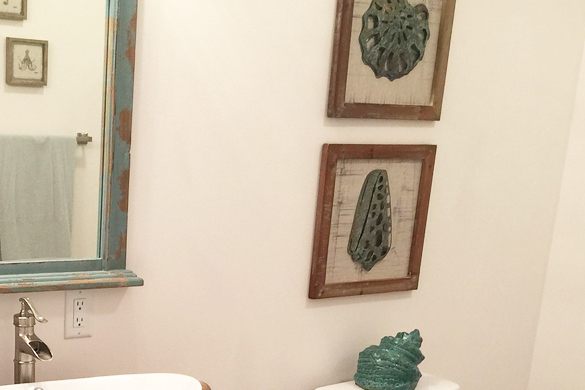 A bathroom makeover doesn’t have to cost a fortune. Good ideas combined with your creativity, and a little motivation can produce stunning results. 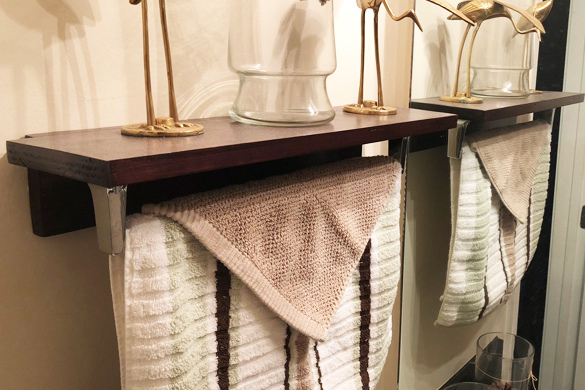 homeandgardeningguide.com has collected some of the best DIY bathroom projects, professional advice, and expert tips to help you quickly personalize, update, and transform your bathroom. 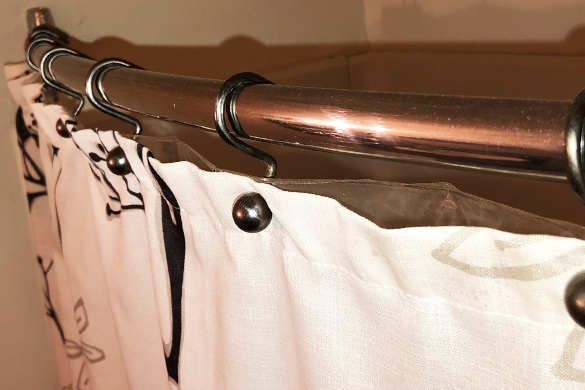 Shower Curtain – With an infinite number of designs, themes, and color schemes, you can immediately change the vibe of your bathroom with a new shower curtain. 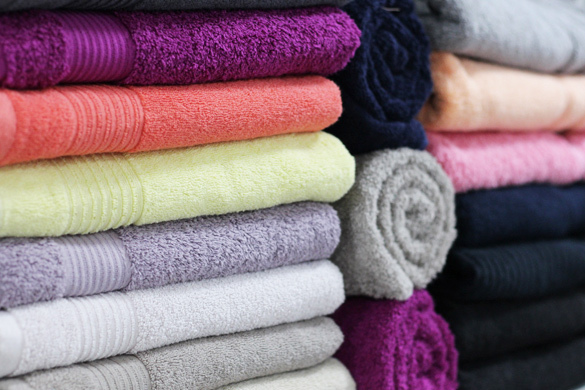 Towels – Towels serve more than one purpose in a bathroom. Not only do they dry us off, but they can also play a part in the decorative color scheme or theme. Like shower curtains, towels come in an infinite array of themes and colors. Bath Rug Set – Bath rugs offer added comfort to your bathroom, as well as a touch of style when they compliment the shower curtain and towels. Bathroom Accessory Sets – Including everything from a soap dish, liquid soap dispenser, tissue box cover, toothbrush caddy, etc. 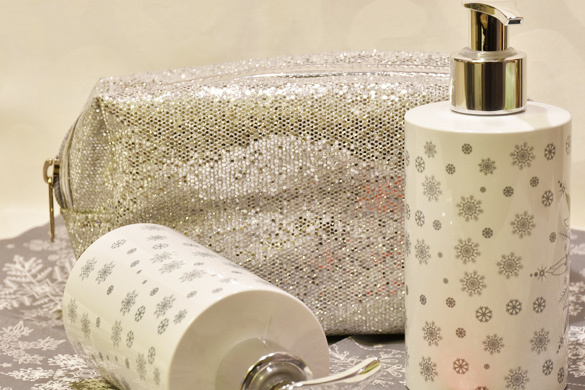 These sets allow you to give your bathroom a stylish and personal touch. Plants – With the ability to fit into any decor, a plant brings a “live” aspect to your bathroom. The pot it comes in or fits into should match the basic color scheme or theme you’ve created. Be sure to select plants which tolerate high humidity and low light exposure like snake plants, orchids, and grape ivy. Candles – Strategically placed on a countertop or shelf, candles can be used to freshen the air, provide lower lighting, or be a decoration. Since candles come in various sizes, colors, scents, and shapes, they can be mixed and matched to complement the bathroom’s decor. The wall space in your bathroom can be transformed into storage, shelving, a place for pictures, or painted to fit your new decor. The following bathroom wall ideas will require some tools and preparation but continue to be low budget and easy to accomplish. • All walls one color. • Each wall a different color within the scheme. • One “accent” wall with a darker contrasting color. • 2 toned with the darker color at the bottom. • Stencils to paint figures or words. Pictures – Hang a map, an old poem, picture, or set of images with frames that compliment the decor. Images of nature and still photography do very well in this environment. Mirrors – Add an additional mirror to the bathroom. Mirrors can magically make small spaces seem large, especially when they are hung opposite each other. Shelves – Both practical and aesthetically pleasant, there’s just something about a shelf that gives a wall new life. 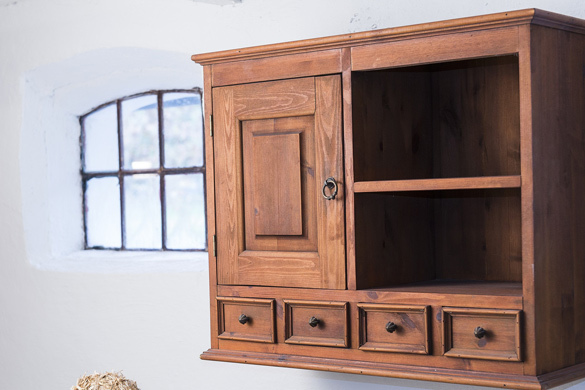 Hanging Cabinet – Great for storing extra towels or toiletries, the space above the back of the toilet is a great place to hang a small cabinet. Curved Shower Rod – Install a curved shower rod to give a more substantial feel to the shower. Tip: Use extreme caution any time you drive a nail into or must drill through a wall in your bathroom. Use a stud finder to locate wooden beams behind the drywall and use them for hanging or fastening if possible..
Transform your bathroom into a place you want to be. Whether the morning routine, makeup, shower, or taking care of business, most people spend 30 minutes to over an hour per day in their bathroom. 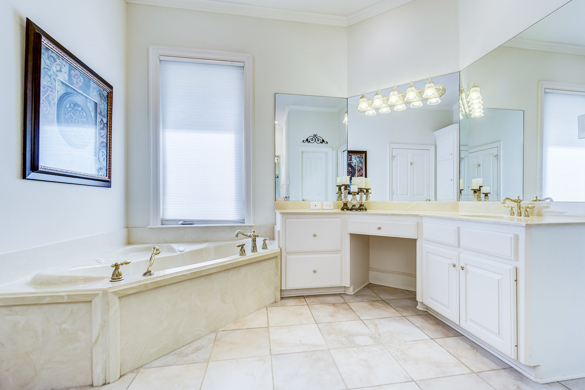 Your experience and bathroom space should be appealing and pleasing to the senses. 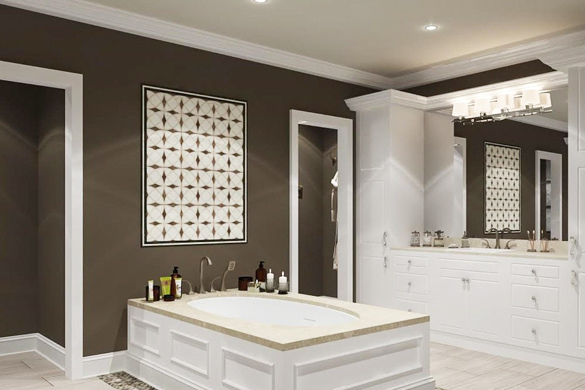 In this article, you discovered some of the best DIY bathroom projects, expert tips, and professional advice to help you transform your bathroom even if you are on a tight budget. Before spending your money on interior designers and decorators, get motivated and use your creativity to spruce up your bathroom. You could save thousands of dollars and increase your property value and appeal when you do it yourself. Visit www.homeandgardeningguide.com/decorating/bath/ for more decorating and design articles, resources, DIY and how-to tips.